Fremont comes in at No. 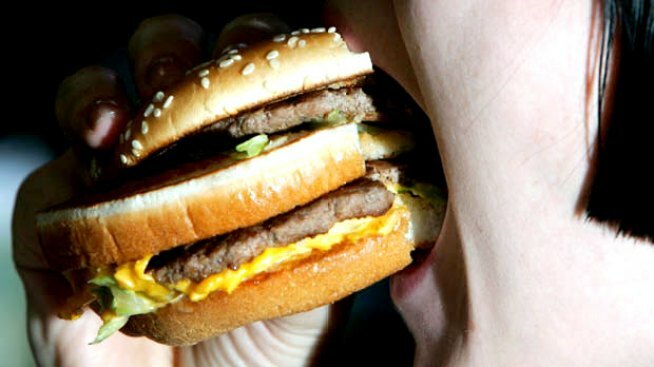 7 on a national list of most fast-food dependent cities. The newest issue of "Men's Health" finds Fremont is among the most fast-food dependent cities in the country. The magazine ranked 100 cities based on the number of fast-food restaurants per capita, the percentage of people who ate there, and how often those people kept coming back. The researchers also figured in stats from the Centers for Disease Control on the number of people who are obese, and to see who's eating the fewest fruits and vegetables. The top four "F-grade" cities, according to the data, are: Arlington, Texas; Anchorage, Alaska; Charlotte, North Carolina; and Sioux Falls, South Dakota. Fremont came in at number seven on the grade-F list. Other Bay Area cities made the list too: San Jose got a D- at number 15. Okland came in at 64 with a C+ and San Francisco landed at 74 with a B- score. Buffalo, New York and Hartford, Connecticut round out the least fast-food dependent cities in the country.